Britain must keep its Trident nuclear deterrent to maintain its “outsized” role in the world, the US defence secretary, Ash Carter, has said. Carter said the nuclear-armed submarines were an “important part of the deterrent structure of Nato”. MPs are expected to vote on government plans to renew the weapons system, an issue on which Labour is split. 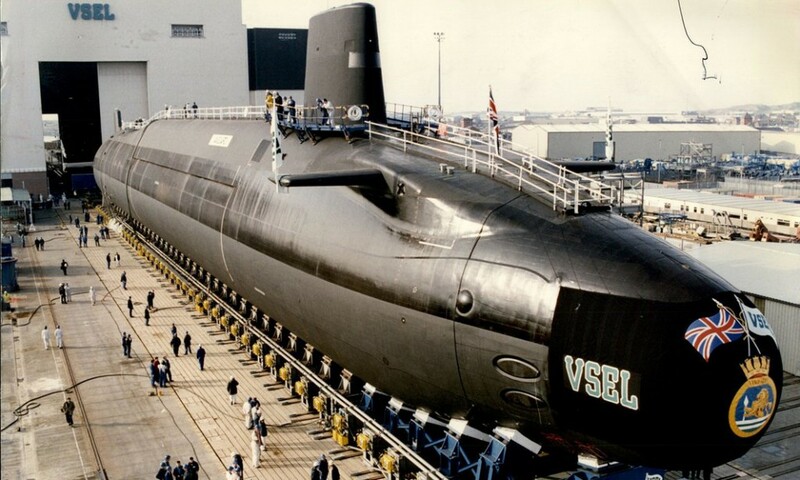 The Ministry of Defence estimates that acquiring four new submarines to carry the Trident deterrent would cost £31bn over the course of the 20-year procurement programme, with a further £10bn set aside to meet any additional unexpected cost increases. Carter told the BBC that Trident enabled Britain to “continue to play that outsized role on the global stage that it does because of its moral standing and its historical standing”. “It’s important that the military power matches that standing and so we’re very supportive of it,” he added. Labour leader Jeremy Corbyn favours unilateral disarmament but faces a showdown with some of his shadow cabinet, including shadow foreign secretary Hilary Benn, who said he believed in multilateral action.